At this point, you will need to flip the laptop over and open up the lid. Remove the strip that covers the keyboard, and then remove the screws holding the keyboard in place. Disconnect the motherboard cable and then take out the keyboard. 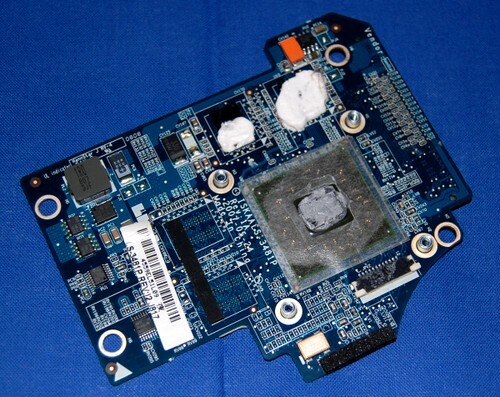 Make sure that you keep track of your Toshiba laptop parts! You should be looking at the DVD drive. Remove the screws that hold the drive in place, and then slide it out. Disconnect the motherboard cables that are found below the DVD drive. There should be a plastic cover around the spot formerly occupied by the DVD drive. Lift the cover until you can see the motherboard. You are almost done at this point. The video card is located at the top left corner of the motherboard. Unscrew the video card and pull it out. Replace the old card with your new and improved video card. Next, reconnect the motherboard cables, replace the plastic cover, and put the DVD drive back in place. 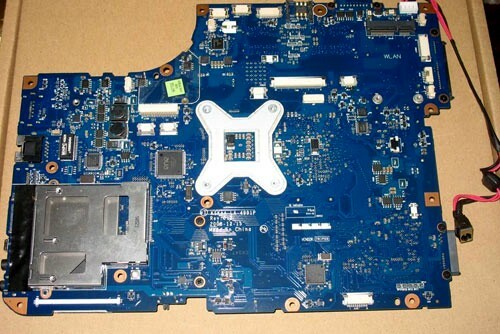 From here on, simply replace each of the Toshiba laptop parts you removed earlier. Boot up your computer, install the relevant drivers, and you are all set!